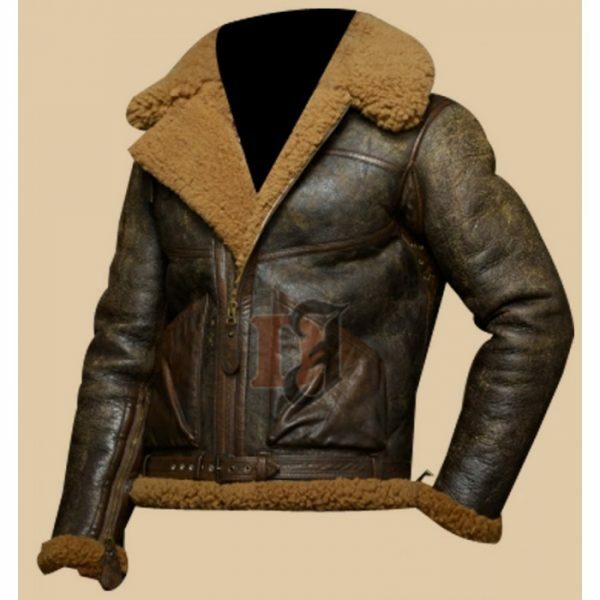 Military rocky 4 distressed leather jacket is a celebrity style jacket and specially designed for those people who love wearing military styled leather jacket. 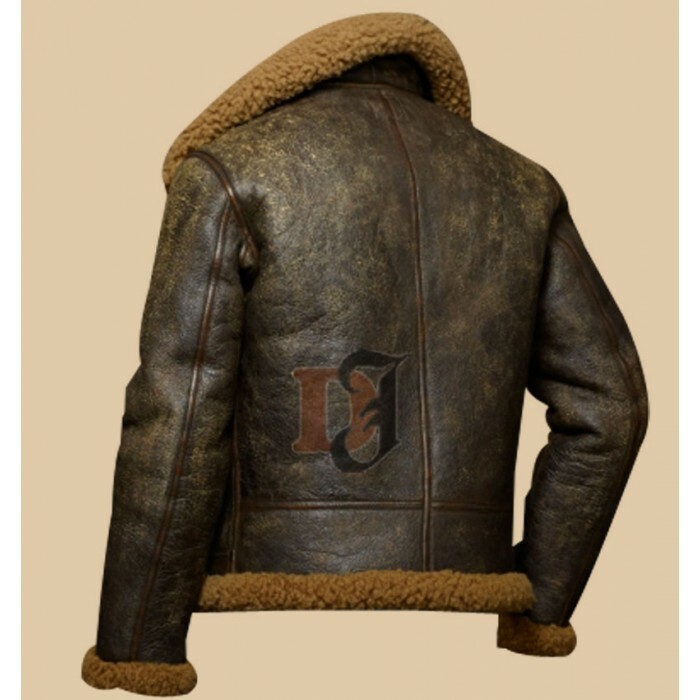 No matter where are you from because you can get distressed leather jackets mens in Toronto, Paris, Washington and worldwide. It was designed for really low temperatures. It has got really furry material in it. Jacket is purely designer and was crated keeping modern trends and techniques. It’s a complete package of warm pockets, fur, leather and front zipper. Military Rock 4 Distressed leather jacket comes with black attractive colour which gives a unique look. This is 100% distressed leather jacket. You will get exactly the same product as you can see it in the image. Full sleeves with zipper cuffs really look stunning. 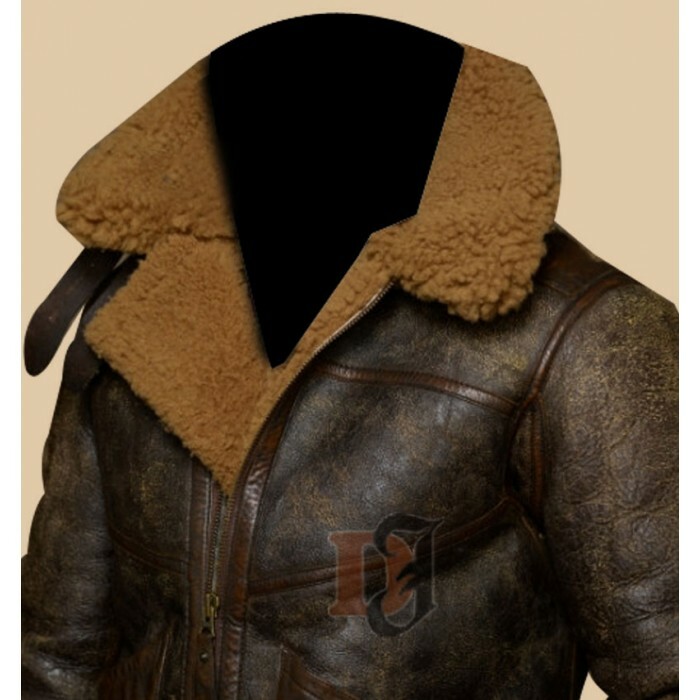 It was made out of premium quality faux shearling jacket. Its front zipper is really graceful and gives look of modern leather jackets. There is also a Belt on the waist of this jacket. It has upside down turned furry collars. It not only look up to the modern trends but also gives warm affect for the wearer.